Your working environment can be better and productivity bigger too – just hug each other!According to science, experiences from sport teams and companies around the world (even states, like Norway), we are going to be more successful, we will cooperate more, and we will be more efficient if we hug each other. You are wondering how many hugs you need per day to be more successful. 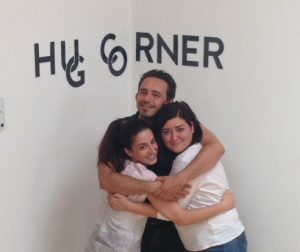 4 hugs per day to survive, 8 hugs to keep your self-confidence and satisfaction, and 12 hugs to be able to grow. So …. HUG EACH OTHER!! !